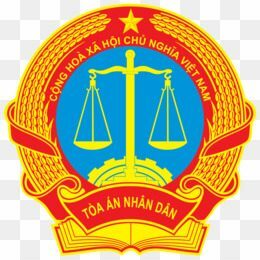 In March 2017, the Supreme People’s Court of Vietnam has adopted Resolution No.03 requesting the publication of court’s judgments and decisions on the Court’s Web Portal from 1 July 2017 (Resolution 03/2017). Judgments and decisions contain information relating to personal secrets and family secrets which are not encrypted. Encryption of judgments and decisions must ensure the accuracy of the judgments and decisions, and also protect the private information of concerned individuals, agencies and organizations. – Only legally effective judgments and decisions made by the Courts after 01 July 2017 will be published. – Judgments and decisions that have been appealed or reviewed under cassation and reopening procedures will not be published. – Judgments and decisions of cases subject to secret trial; or the cases having information on financial investment, professional know-how or undisclosed technology which can be used and taken advantage of in business of which the parties in litigation procedures required to keep secret during the trial, etc. will not be published. The presiding judge must explain to parties participating in the proceedings about their rights and obligations regarding publication of the judgments/decisions and rights to request non-publication of information relating to personal secrets, family secrets and trade secrets. The publication of judgments and decisions will contribute an important source of reference for judges and lawyers when settling cases of similar nature, and it will increase the responsibility of judges for making judgments and rulings. However, under Official Letter 144/2017, only the judgments and decisions issued from 1 July 2017 must be published on the e-portal of the court. Therefore, lawyers may use the online database and paid-search service of website www.caselaw.vn as another source of reference for searching judgments issued before 1 July 2017.